We are the largest single source for vinyl records, representing 48% of the industry's 11.9 million units in total sales - shipping 5,271,140 units in 2015. 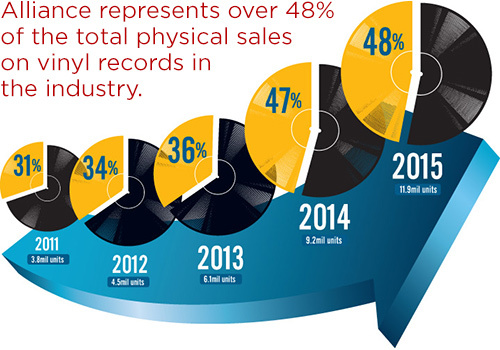 Our vinyl marketshare continues to grow year over year. Vinyl has come back in a big way and we've been sure to lead the way.